Dr. Jeff Traub has been in practice for over 19 years. Dr. Traub went to Massachusetts Institute of Technology (MIT) and went to medical school at New York University School of Medicine. He trained in orthopedic surgery in Albany, New York. He did his fellowship in Sports Medicine in Cincinnati, Ohio and worked with the Cincinnati Bengals and University of Cincinnati Bearcats. He presently takes care of multiple high schools and can frequently be seen on the sidelines with the athletes there. Dr. Traub also is involved with the Georgia Boxing Commission and is the lead physician for all UFC, boxing and other MMA events hosted in Atlanta. Dr. Traub specializes in Hip, Knee and Shoulder replacements as well as Arthroscopic Surgery. He enjoys ACL reconstruction and Rotator Cuff Repairs. Dr. Traub is a TOP DOC in Atlanta Magazine and is the current Chief of Orthopaedic Surgery at Dekalb Medical Center. Dr. Traub has been elected chief of the department of Orthopaedics at DeKalb Medical Center. It comes as no surprise that our own Dr. Traub is the chief. Dr. Traub has been an Atlanta "Top Doc" award winner for the last 3 years. He has been recognized by Castle Connelly Top Doctor and Top Regional Doctor yearly since 2011. 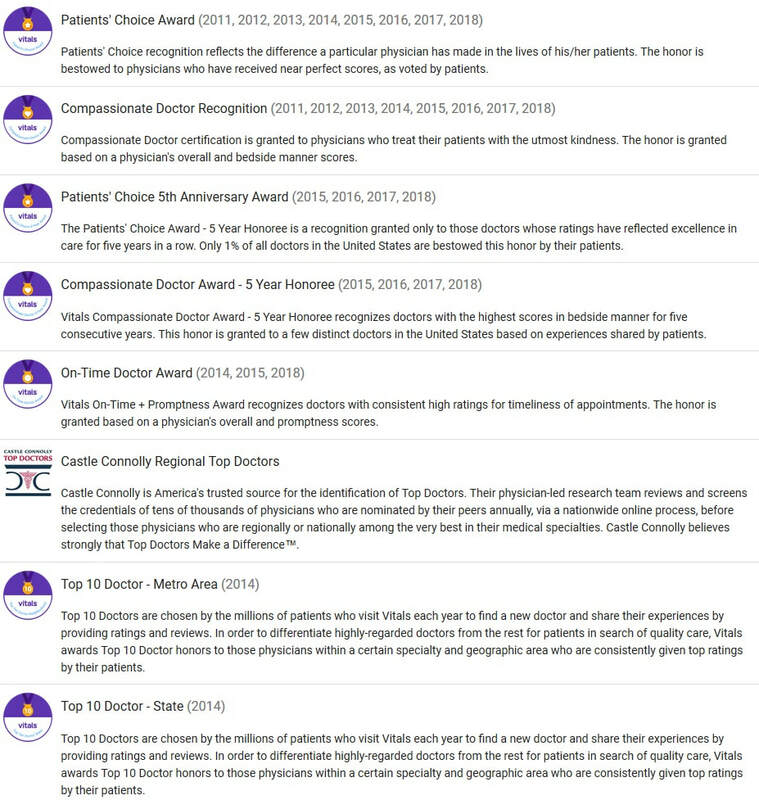 He has been awarded a Vitals.com Compassionate Doctor Award and Top 10 Orthopedic Specialist Award as well. In 2016 and 2017, he was honored as America's Most Honored Professional Top 1%. With so many accolades, you can see why he is the Chief of DeKalb Medical Orthopedics!